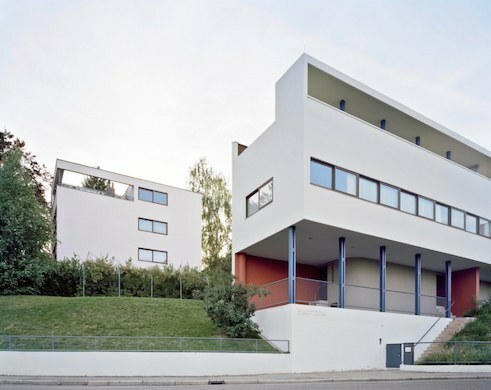 Two avant-garde residential buildings by architect Le Corbusier that were built in 1927 at the Weißenhofsiedlung in Stuttgart have been designated as World Heritage. A late triumph for the achievement of modernism in whose epicentre the capital of Baden-Württemberg was once to be found. 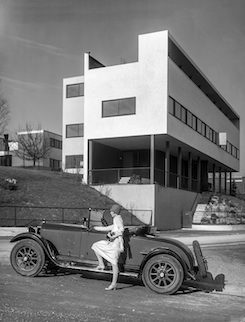 “Lady driver“ with Mercedes-Benz of the Le Corbusier building | 1928 | Photo: Mercedes-Benz Classic A photo from the late 1920s shows in the foreground a Mercedes Benz, type 8/38 HP-Roadster, at the driver’s door with one foot on the jutting footboard, is standing a young woman, a “lady driver“ as one put it in the ‘Twenties, and behind her, all in white, a building whose iconic charisma has retained its power to this day: it is one of Le Corbusier’s (1887–1965) first works, a double house unit and part of an ensemble in Stuttgart’s Weißenhofsiedlung. This building was completed in 1927 on the occasion of the exhibition Die Wohnung (i.e. the flat) by the Deutscher Werkbund (German Association of Craftspeople). History has long since overwritten the scenario in the foreground. Today, the vehicle is a treasured classic car and the confident posture of the emancipated woman with a driver’s licence is a matter of course. But the radical gesture that united the seemingly opposing worlds of casualness and elegance, simplicity and noblesse, quality and economy, architecture and housing issue into a new vision of life, retains its validity to this day and is permanently inscribed into the building itself. 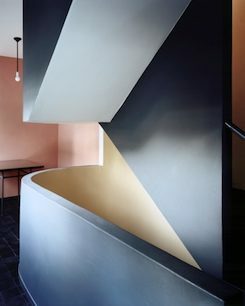 It is therefore no wonder that these two residences, along with 15 additional buildings in seven different countries from Le Corbusier’s studio were recognised by the UNESCO as World Heritage in July 2016. Double housing unit Le Corbusier | Weißenhofsiedlung | Stuttgart | © gonzález/weissenhofmuseum The Weißenhofsiedlung in Stuttgart originally comprised 33 buildings, today eleven have been preserved in their original condition. 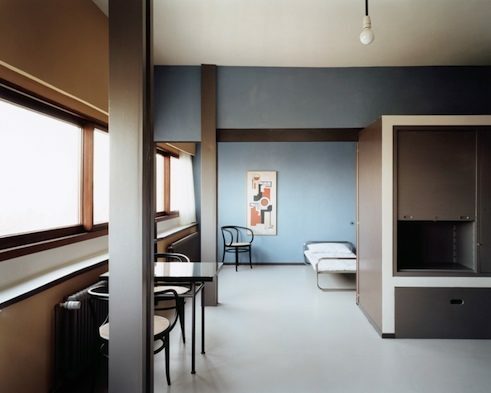 17 architects, among them Peter Behrens, Walter Gropius, Hans Poelzig, Johannes Jacobus Oud, Hans Scharoun and Mart Stam, were involved in this model estate project under the urban planning direction of Ludwig Mies van der Rohe. For the first time, the avant garde of Europe’s architectural profession joined together to inspire people about new ways of planning, building and living, and to generate a change in awareness towards them. Double housing unit Le Corbusier | Weißenhofsiedlung | Stuttgart | © gonzález/weissenhofmuseum | VG Bildkunst In its day, the Weißenhofsiedlung set standards for the minimum equipping of flats. Mies van der Rohe had insisted on each house having central heating as well as a bathtub and WC. All of the designers and manufacturers of the Werkbund presented not only new construction methods and materials and concepts of variable space usage but also and above all, modern functional design and interior architecture. These, as Austrian architect Josef Frank put it, should be free of “Gschnas”- superfluous ornamentation. Double housing unit Le Corbusier | Weißenhofsiedlung | Stuttgart | © gonzález/weissenhofmuseum Already from the outside, through its slender supports, Le Corbusier’s double housing unit conveys an impression of the free feeling about life that was to guide the future of home living. Its carefree lightness is continued indoors through sophisticated detailing, minimalistic residential landscapes that flow into each other, and the enterable roof with sun deck and garden. It is a setting for the surprising shift in perspective. 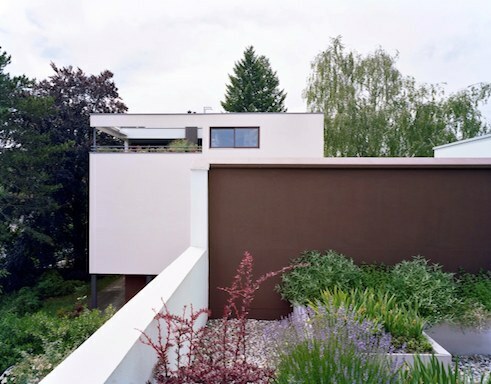 Its fundamental principle of a “transformable house” is palpable to this day. But not all residents appreciated the building’s free-flowing floor plans. Between 1933 and 1984 the building underwent continual alteration. Only in 2002, through a change in ownership, did the opportunity arise for comprehensive remedial maintenance and restoration in line with historic-preservation guidelines and its repurposing as a museum. Commissioned by the Wüstenrot Foundation, the Stuttgart firm Architektur 109 renovated the building in an exemplary and sustainable fashion. The building’s proportions were restored without entirely eliminating the alterations from the last decades. Double housing unit Le Corbusier | Weißenhofsiedlung | Stuttgart | © gonzález/weissenhofmuseum | VG Bildkunst To provide a snapshot in time of its original state, the firm space4 reconstructed the right half of the building as an enterable exhibit in terms of furnishing and colour scheme. The left, larger building half houses the exhibition with displays on the history of the Weißenhofsiedlung. Here, the changes from the last 70 years have been intentioally retained to enable visitors to make their own discoveries. The exposed layers of time provide space for interpretations on the life cycle of an icon, they reveal its vulnerability and the inexhaustible courage of the new. Copyright: Text: Goethe-Institut, Ute Maasberg. This work is licensed under a Creative Commons Germany Attribution – NoDerivs 3.0 Germany license.